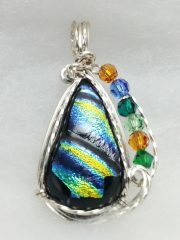 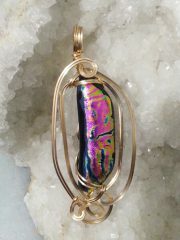 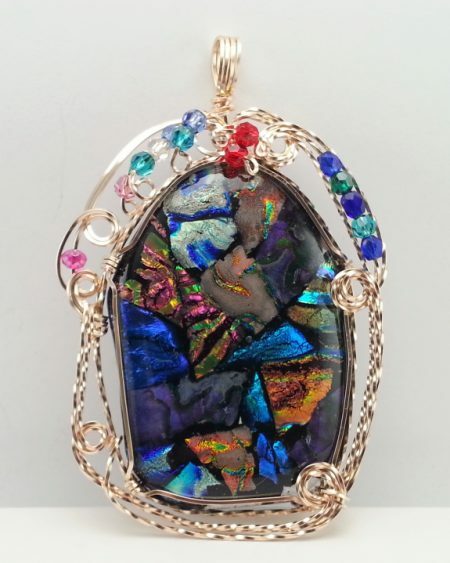 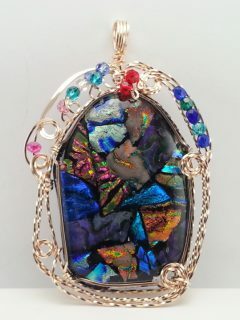 I fused this piece of glass using pieces of Dichroic glass and arranging them for form a “stained glass window”; I designed the pendant using 14 Karat Gold-Filled wire to “frame” the window and included multi-colored beads to accent the “frame” and the glass. 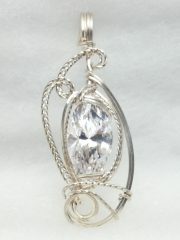 This pendant is very elegant and beautiful and I used Traditional and Sculpture styling to create it. 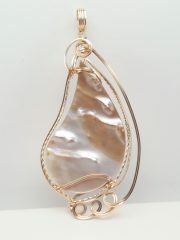 The overall size is 3″ long and 2″ wide. 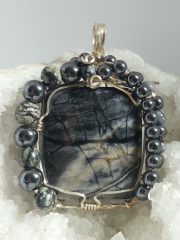 It is definitely a statement piece and as are all my pieces, it is OOAK- One of a Kind.